The Dive Rig near Sipadan Mabul doesn’t look that different from its former self. 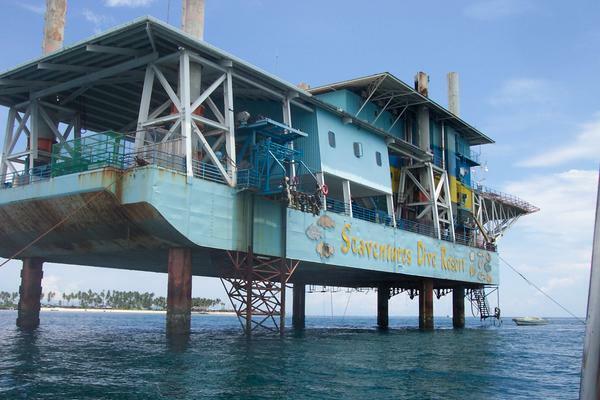 The former oil-rig and now dive platform has gone through some changes over the years. 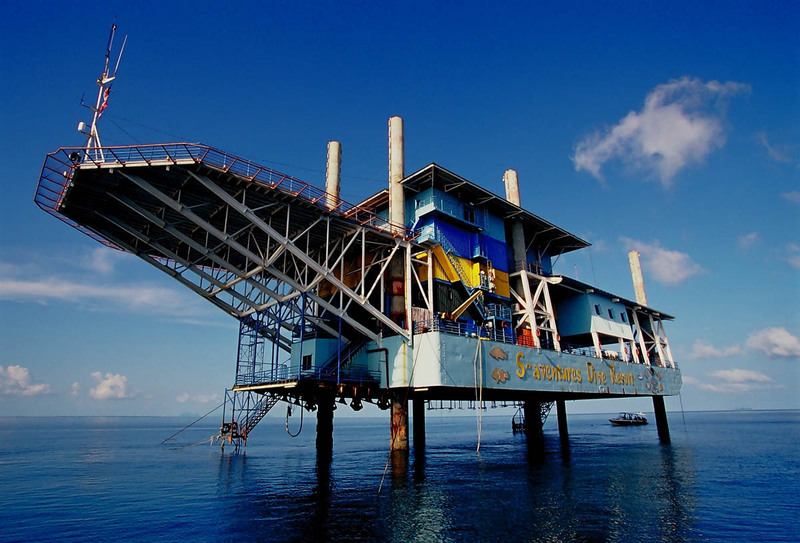 Due to the location and structure, no major work can be done on the Rig, but the unique PADI 5-Star Dive Resort is the most recognisable landmark around Sipadan Mabul and Kapalai. Sundeck. Located on the 3rd level, it used to serve as an open dining area for BBQ nights. 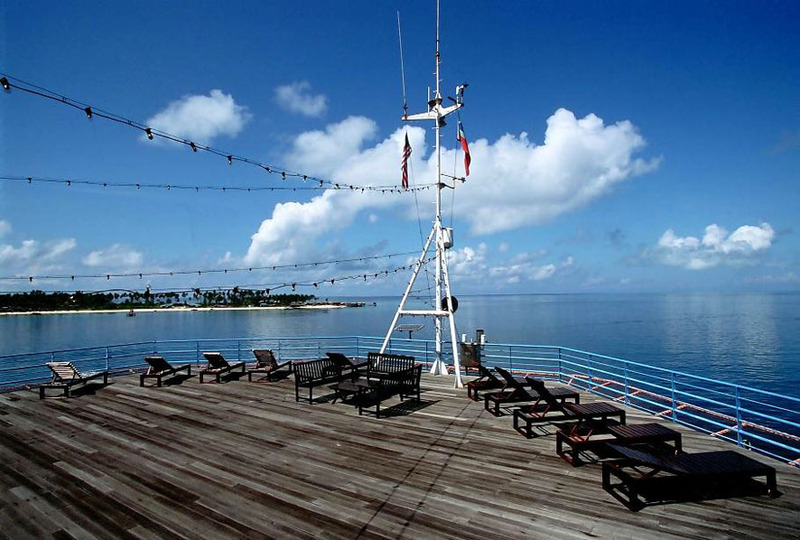 Imagine dinner by the sunset, looking out on Mabul island and Sipadan in the distance. When the sun is up high, this would be (and still is) the place for divers to get some sun time during surface intervals. Currently, hammocks and lounge chairs are set outside which makes it perfect for sun set watching. The deck have had plenty of divers who dozed off and slept out on the deck throughout the night. It has also seen some adventurous divers jumping off the platform into the sea. Main deck. 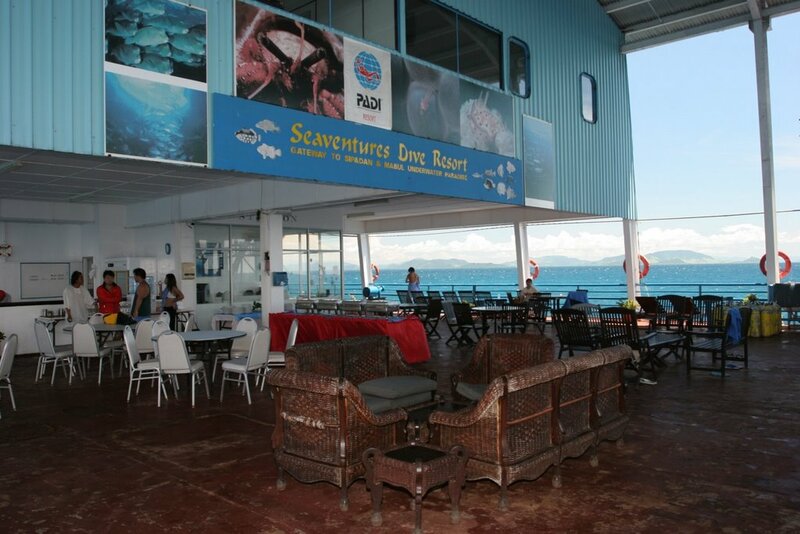 Once it was just a formal dining area (when it does rain) with tables and chairs next to the dive centre. Until a bar was built and now serves as the main area of the Rig. Grab a drink and catch up with other divers after a full-day of diving. If you’re feeling a little behind from civilisation, there is cable TV from the bar for you to catch up on sports and news (in that particular order). If you need to access the internet, the Rig provides FREE use of Wi-FI and its best to connect from the bar area. Have a look on some photos we found below.